Set up in 2007 by IMAGE magazine's Beauty Editor Liz Dwyer, Beauty Bootcamp is an exclusive one-day interactive course that teaches you essential hair and make-up skills, whether you want to polish up your professional look, or WOW the crowds at weekend. Taught by a team of leading international hair and make-up artists, our hands-on, simple approach, reveals all the insider tricks-of-the-trade and the professional techniques used backstage to transform models and actresses from plain to phenomenal. You'll spend the day putting these skills into practice on yourself, so that afterwards you'll be able to recreate everything from a polished day-time look, to catwalk-worthy hair and make-up at home. As well as having a gorgeous girly day out and gaining new skills, by 5.30pm you'll be glammed up and ready to paint the town pink. How it Works: Use this gift voucher on AllGifts.ie to make a booking for Beauty Bootcamp in Dublin City Centre. Or you can swap this voucher for any other gift or voucher listed on AllGifts.ie. Simply follow the instructions at the bottom of your voucher. Advance booking required for all Beauty Bootcamp courses. 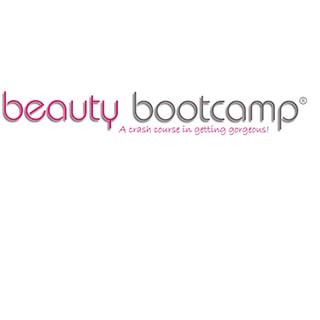 For the most up to date Beauty Bootcamp Course Dates and Rates please contact Liz on the following number 087 8217435. Beauty Bootcamp is located at 34 Upper Fitzwilliam Street, Dublin 2. On the left hand side coming up from Lower Baggot Street, head towards the east side of Fitzwilliam Square & Park, which lies between Lower Leeson Street and Lower Baggot Street.